This week, Alaska Native groups and environmental organizations filed two separate challenges to Shell’s Arctic endeavor. In one lawsuit, filed in the Ninth Circuit Court of Appeals, a group of 12 organizations has challenged the Department of Interior’s approval of Shell’s Chukchi Sea exploration plan for 2015, claiming that it violates both the Outer Continental Shelf Lands Act (OCSLA) and the National Environmental Policy Act (NEPA). In the other, a group of plaintiffs filed a status update with the federal district court in Alaska, announcing that they would revive the ongoing lawsuit challenging the adequacy of the environmental impact statement prepared for Lease 193. 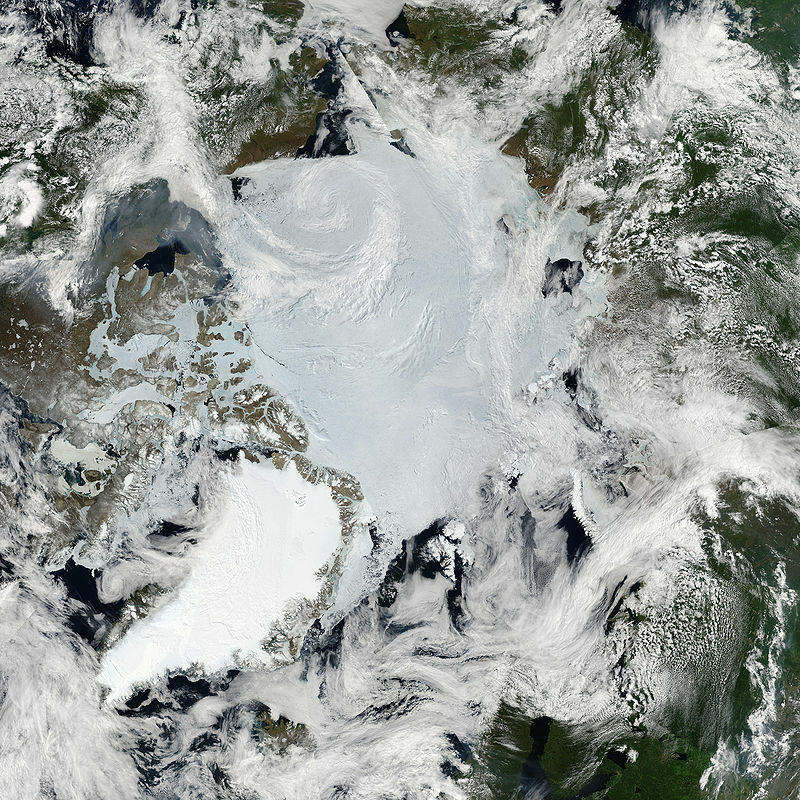 Through Lease 193 the Department of Interior sold leases on approximately 4,312 square miles in the Chukchi Sea, including the areas involved in the case mentioned above, bringing in $2.7 billion of revenue. Shell was a big winner in that lease sale, paying out some $2.1 billion for the right to explore this section of the Arctic Ocean. It has, since then, reportedly spent $7 billion on the project. But the Lease 193 EIS has never met with full court approval. It was first sent back to the agency then known as the Marine Minerals Service (MMS) in 2010, when the district court judge found that the agency had failed to adequately address the potential impacts of natural gas exploration and production and to determine whether missing information pertaining to wildlife habitat and potential impacts was available. The EIS was revised and re-approved, but was sent back again in 2014, when the 9th Circuit determined that MMS’s successor agency, the Bureau of Ocean Energy Management (BOEM), had arbitrarily estimated the quantity of economically recoverable oil at 1 billion barrels, and that this underestimate meant much of the analysis was inadequate. In February, BOEM issued a new supplemental EIS, and in March issued a record of decision affirming the Lease 193. This time around the Alaska Native groups and environmental organizations plan to raise at least two issues: First, the plaintiffs will contend that the EIS does not adequately address the effects of drilling around Hanna Shoal, an important walrus habitat. Second, and more closely related to our work at the Sabin Center, they will argue that the EIS is inadequate because it fails to address the downstream greenhouse gas emissions that will result from combustion of the oil produced from the lease, now estimated at 4.3 billion barrels. The Council for Environmental Quality’s revised draft guidance for climate change analysis under NEPA makes clear that agencies should disclose downstream emissions, where feasible. (Jessica Wentz previously elucidated the guidance here.) And we raised this same point in comments on the scope of the proposed Programmatic EIS for Interior’s 2017-2022 Lease Plan for the OCS. But the fact is that the issue of downstream emissions under NEPA has not been definitively settled by the courts. There is a chance we could wind up with a 9th Circuit opinion that directly addresses the issue. In a related lawsuit, Shell has obtained a temporary restraining order from the district court in Alaska barring Greenpeace protestors from boarding and interfering with operations on three vessels that the company plans to use for its Arctic exploration this summer. The case arose after six individuals had boarded a Shell heavy transport vessel in the Pacific Ocean and scaled the drilling vessel the transport vessel was carrying. The individuals, one of whom was an American employee of Greenpeace, were part of an operation called “The Crossing” that Greenpeace promoted on its website as part of its Save the Arctic campaign. In another related lawsuit, environmental groups in Washington have sued the Port of Seattle over their leasing agreement with Shell contractor Foss Maritime, to host Shell’s Arctic drilling fleet at Terminal 5. The lawsuit focuses on issues of state and local law – whether the deal was negotiated in secret in violation of port requirements, whether it is inconsistent with the Shoreline Management Act, and whether there will be local air quality impacts that were not analyzed in violation of the Washington Environmental Policy Act – and not on climate change, per se. But there is no question that the local opposition to housing Shell’s Arctic fleet in Seattle is related to concerns about the potential for a catastrophic oil spill and the GHG emissions associated with Arctic drilling. Indeed, the lack of enthusiasm for Shell is widespread; state and local agencies have been entirely uncooperative, refusing numerous permits and, in short, seeking to force Shell out of the terminal. The Port of Seattle lawsuit is similar to a number of local controversies surrounding the development or use of port facilities for the purpose of fossil fuel export. There is a strong political movement organizing around opposition to several proposed coal export facilities in the Pacific Northwest. And just last month opponents of the Cove Point LNG Terminal in Maryland filed a petition with the D.C. Circuit Court of Appeals to review the Federal Energy Regulatory Commission’s order authorizing the facility. FERC approval of LNG export facilities in Texas also is currently before the D.C. Circuit. Among the aspects of the FERC orders plaintiffs will challenge is the decision not to analyze upstream and downstream GHG emissions associated with the terminals. Here we are almost certain to get, among other things, an appellate court decision that helps clarify the extent of analysis required under NEPA. Returning to the Arctic: The U.S. is not the only place where the issue of emissions from Arctic oil exploration has become a hot topic. In Norway, the government announced in January that they would extend oil and gas licenses another 40 miles north into the Barents Sea. The announcement has inspired a fundraising campaign spearheaded by notable cultural figures and the nation’s leading environmental groups who plan to sue the government over the plan. The lawsuit will likely charge that the continued charge northward into the Arctic violates a provision of the nation’s constitution which obligates the state to take action to ensure natural resources are managed “on the basis of comprehensive long-term considerations,” including safeguarding the environment for future generations. Finally, the Norwegian lease plan has also triggered a potential lawsuit over international law. Russia is of the view that some of the areas offered in the January licensing belong to the Svalbard continental shelf and that production of oil and gas there should be regulated by the Svalbard Treaty. Under that treaty, Norway and 39 other countries possess identical rights to operate in the Svalbard archipelago, provided that they comply with Norwegian law. However, Russia argues that Svalbard has a continental shelf that should be covered by the Treaty. Norway argues that the continental shelf is a part of mainland Norway’s continental shelf and should be governed by the 1958 Continental Shelf Convention. While Russia has lodged a diplomatic objection, they have not yet filed suit in any court. It is also the subject of a full length policy paper of the International Centre for Trade and Sustainable Development (ICTSD) in Geneva, and will be published within a few weeks.